Cannabios Hemp-Balm Tattoo, the first hemp balm, especially recommended for the care of tattooed skin. Cannabios Tattoo balm, the first hemp balm, especially recommended for the care of tattooed skin. Tattoos, with time, dry and lose in shine, tattooed skin needs special care. Cannabios Tattoo Balm moisturizes and protects the skin and helps to restore the original appearance of your tattoos. Naturflow offers the natural alternative to chemicals. 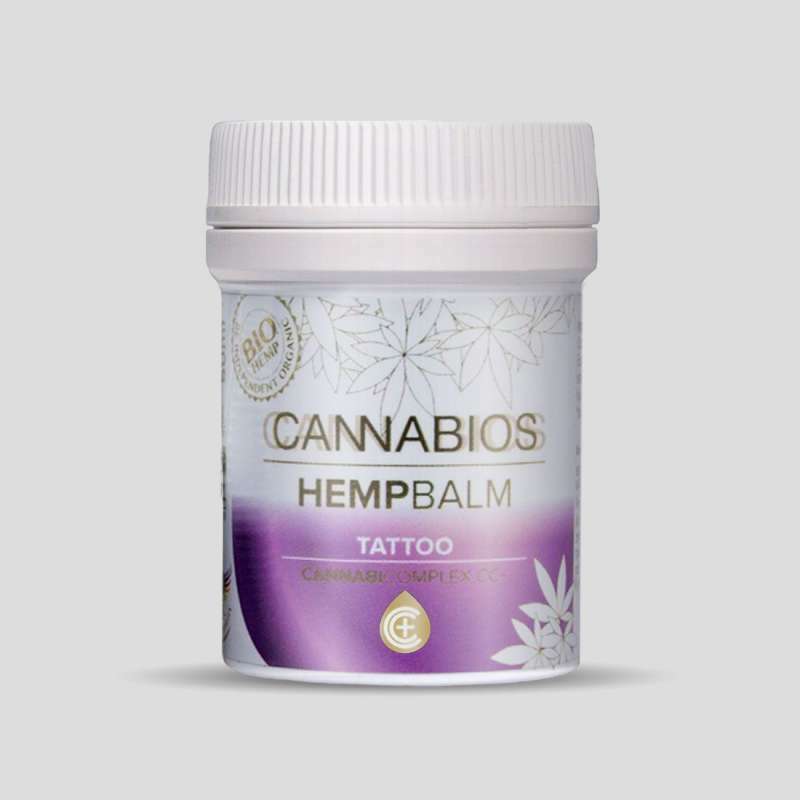 Made without preservatives, colorants or fragrances added, Cannabios Tattoo balm is a product of sustainable agriculture and ecological. Olea Europea Fruit Oil *, C. Sativa L (with cannabicomplex cc +), Cocos Nucifera Oil * Butyrospermum Parkii Butter * (Kartié Butter), Tocopherol (Vitamin E), Helianthus Annus Seed Oil * ( organic sunflower oil) * Bio Production.